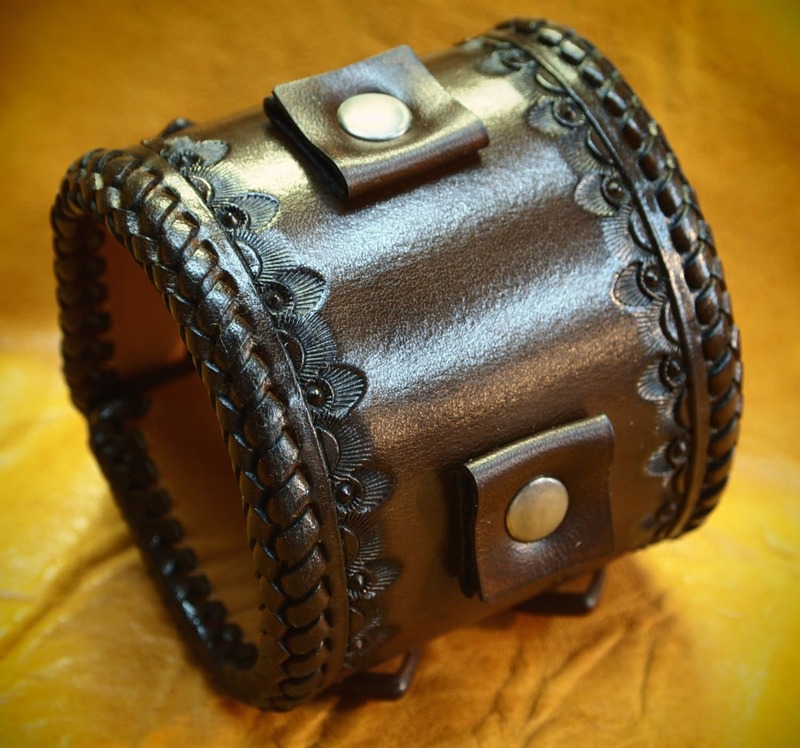 This brown leather cuff is 2.5" wide and hand dyed in a rich dark walnut brown finish . 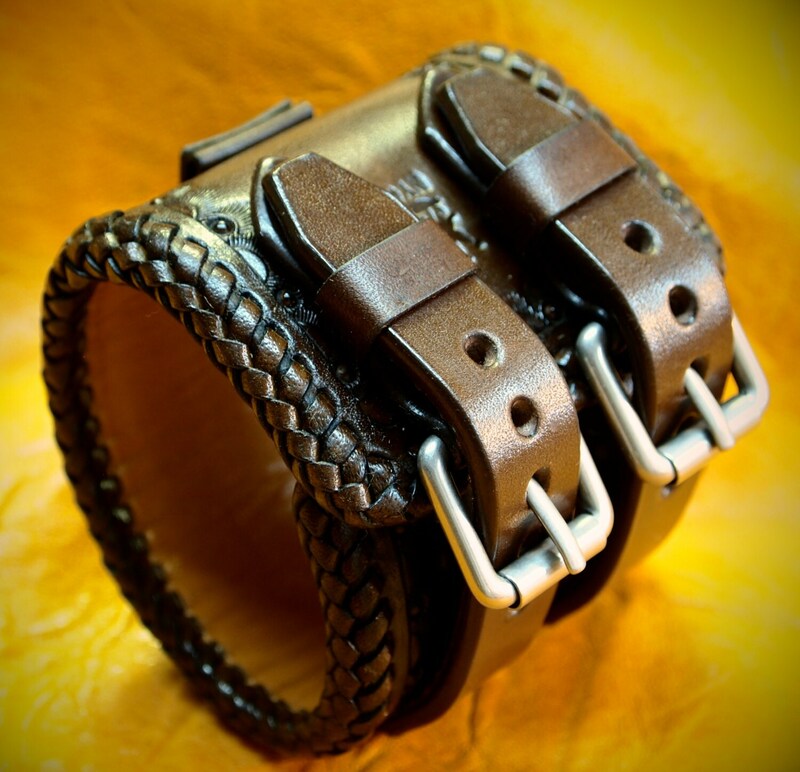 It is hand braided along the edges with leather lace and features a western tooled border. It has hand aged nickel hardware, beautiful smooth calf lining and is a great width for any wrist! Can be used with or without a watch! 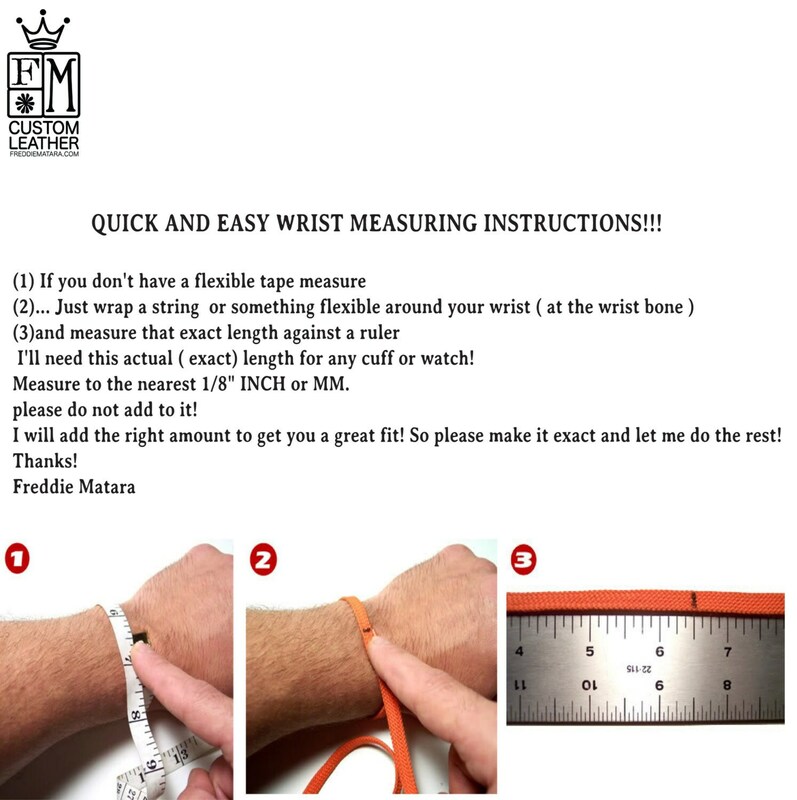 Custom sized for your wrist and watch if you're using one!!! 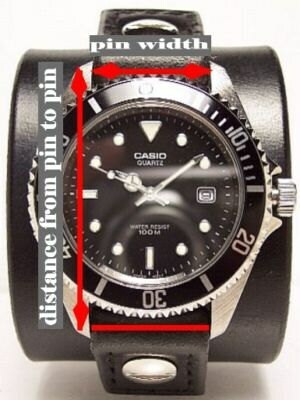 If you plan to use a watch, please give the dimensions of the watch per the last frame above.